5G is a revolutionary technology expected to bring economic growth, create jobs, fuel innovation, and improve living standards. But the fifth generation of wireless networks, slated to be rolled out in a handful of countries this year with its ultra-fast speeds, is also a boon for cyber criminals. Nevertheless, the time is now for Canada’s push to grow in the digital economy. Innovation minister Navdeep Bains announced on Jan. 25 a $40 million investment in Nokia Canada. The investment will help Nokia conduct research on 5G and develop cybersecurity tools to protect telecommunications networks. Finland’s Nokia is a direct competitor of China’s Huawei, which has been banned from building 5G networks by three countries—the United States, Australia, New Zealand—in the Five Eyes alliance. Prime Minister Justin Trudeau said the decision to ban Huawei should not be political. “Our national security experts are going to analyze and make recommendations to us as to what we need to do,” he said in New Brunswick on Jan. 24. The Trump administration is trying to prevent American companies from buying Huawei routers and switches and is pressing allies to do the same. Even as Canada’s cybersecurity watchdog is yet to complete its review, varied allegations of theft against the Chinese telecom giant from all over the world are mounting. It is critical for Canada to make the right decisions when considering how to build its 5G infrastructure. The current networks are not able to handle the sheer volume of things that will be connecting to the internet, from self-driving cars to smart-home sensors to transportation infrastructure. The potential damage from cyber hacking will grow exponentially. 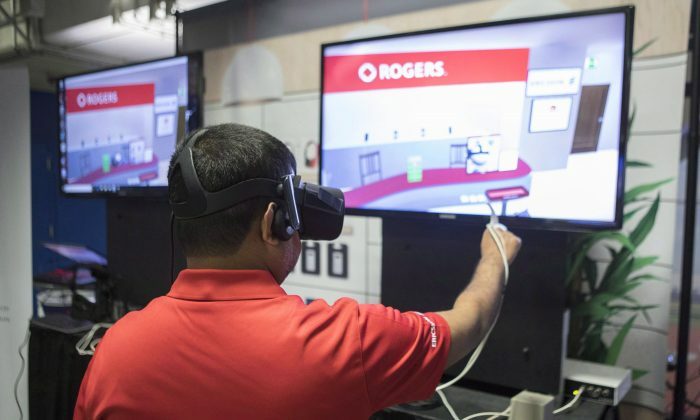 Of Canada’s three largest telecommunications companies, Rogers has the least exposure to Huawei in its 5G efforts. It is working with Sweden’s Ericsson. Bell and Telus have made investments in Huawei equipment that could be used for 5G. The two could also face combined costs of well over $1 billion should Huawei be banned, according to The Globe and Mail. Michael Genovese, a telecom analyst with MKM Partners, told BNN Bloomberg that the Canadian companies that have made 4G investments with Huawei, with the intention to upgrade to 5G, will have to deal with switching to another provider, as Huawei is expected to be banned by the Canadian government due to the security risk it poses. According to Genovese, the Chinese telecommunications giant wrote a letter to the U.K. saying that it would take three to five years to certify its equipment as clean and at a cost of US$2 billion. That’s longer than it would take for the Canadian companies to make the switch to a different provider now, he said. “We’re going to see a lot less Huawei 5G in the Western networks,” said Genovese. In the U.K., Vodafone is taking a pause from purchasing Huawei equipment for its European 5G network. “Any company that is providing infrastructure should get signed agreements … that none of their gear will have backdoors or remote access,” Miliefsky, publisher of the Cyber Defence magazine, said. The concern, of course, is that Huawei would be feeding sensitive data to the Chinese communist regime. A strong case can be made for data encryption, which would ease Miliefsky’s concerns about 5G, though not of Huawei. “If you build something with strong encryption, built into the internet of things—products that we’re all going to be foolishly buying—then I’m OK with 5G,” he said. Public Safety Minister Ralph Goodale has previously cited the example of hackers twice bringing down the electrical power system in Ukraine. He and Bains are responsible for overseeing Canada’s 5G security review. There is a significant economic cost to cyber crime, which hits Canada for over $3 billion a year, according to Statistics Canada. “I would not want to buy a car that was self-driving and did updates over 5G—which it will,” Miliefsky said.